"DADiSP...has tremendously speeded up the entire SDS data reduction and analysis process." Laurence Twigg, a contractor with NASA/Goddard Space Flight Center, Laboratory for Atmospheres, analyzes data obtained by the Solar Disk Sextant balloon experiment in order to detect changes in the solar diameter and oblateness, and investigate the possible links between these changes and global climate. The sun is the center of our solar system. It is the source of enormous amounts of energy, a small portion of which provides our earth with the light and heat necessary for life to exist. It is little wonder that the field of solar research is of extreme interest. One area of particular interest in solar research is the measurement of the precise diameter of the sun. The major reason to measure the solar diameter is related to the current interest in global climate change. One of the suspected causes of long-term climatic change is variation in the solar constant. The solar constant is the total radiant energy the Earth receives from the sun per unit time per unit area on a theoretical surface perpendicular to the sun's rays at the Earth's mean distance from the sun. 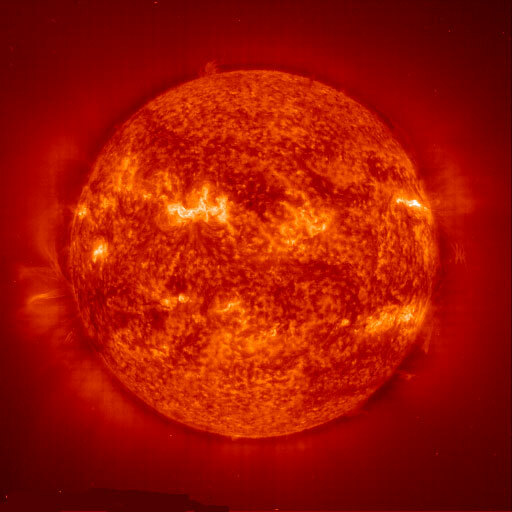 The value of the constant is approximately two calories per minute per square centimeter and may change very slightly with variations in solar activity. The relationship between the solar constant and global climate change is fairly straightforward since the source of energy for the entire climatic system is provided by the sun. 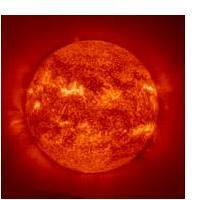 It is suspected that a change in the solar constant of about 0.5% would produce significant climatic changes. One obvious way to address whether the solar constant is changing and by how much is by direct measurement. Several balloon and satellite experiments have attempted direct measurement. These experiments show a change of about 0.1% in the solar constant for the single solar activity cycle of approximately 11 years for which data exists. The object of this project is to find some means of looking at changes that could have occurred over a much longer time period. To accomplish this one has to correlate solar luminosity measurements with a measure of climate change, such as the average global temperature. While a reasonably accurate temperature record exists for the past 150 years, the corresponding solar luminosity data do not exist. However, the data on solar diameter variation does exist as a result of the careful analysis of solar eclipses. It is also true that the equations that govern the global structure of the sun show that a variation in the solar diameter is always accompanied by a change in the total solar luminosity. The hypothesis is that by measuring the changes in the diameter and luminosity simultaneously, the constants in the relationship between diameter and luminosity may be calibrated. The historical data of the solar diameters over the last 150 years could then be used to calculate the luminosity changes over this time period. Using this information along with the temperature record may shed light on the possible climatic changes which occurred due to solar effects.